Perhaps the most chilling detail of what happened yesterday morning in Joaquin V. Gonzalez, a town of 20,000 residents considered by traditionalists as the “heart of the province of Salta” is the abundance of eyewitness accounts and the manner in which they are so perfectly synchronized with each other. This little town is also known to the ever-watchful gaze of science for the fact that its heights are regularly swept by the passing of UFOs. The entire town – or at least those who were awake at 0200 yesterday – agree that it was hot, an unbearable heat that kept people from getting a good night’s sleep, their eyes wide open under treacherous, menacing and stormy skies. Outside, people drank cool drinks or ate ice cream hurriedly, before these were reduced to sticky confections. This was the fate of many residents of Joaquin V. Gonzalez, engulfed by nearly 300,000 hectares of soybeans, when at 2:00 a.m., with heat still burning under their skins, they saw a strange, gigantic luminous creature, elongated and weightless, heading southeast to El Tunal, some 35 kilometers from the town. It plowed the dark skies, lighting everything around it, visible to everyone. The “cigar-shaped UFO” (as it is known to specialists) crossed the Saltan night suspended under a spongy ceiling of clouds, and according to some of the numerous witnesses, “with intermittent, flashing lights and a fixed red beacon”. As the object disappeared from view, those who watched the sky as though expecting something more, saw it disappear into the darkness toward El Tunal. 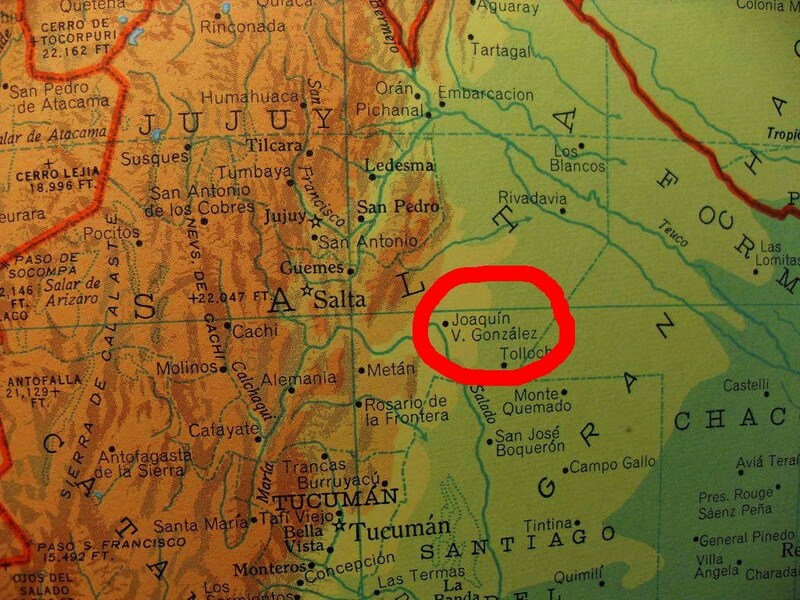 Minutes later (some say 5, others 15), all of Joaquin V. Gonzalez experienced an electrical blackout that submerged a 200-kilometer area in the deepest darkness possible.